Epoxy flooring is a type of floor coating that uses the combined components of a resin and a hardener. When combined, the material becomes rigid and resembles the likeness of plexiglass in its appearance. Epoxy floor coatings comes in different finishes, coatings, colors, styles, and designs. Because of this, epoxy floor coatings are durable and customizable. It is the new way of protecting your floors. Epoxy floor coatings come in various options. One type of coating is the application of a non-slip epoxy floor coating. 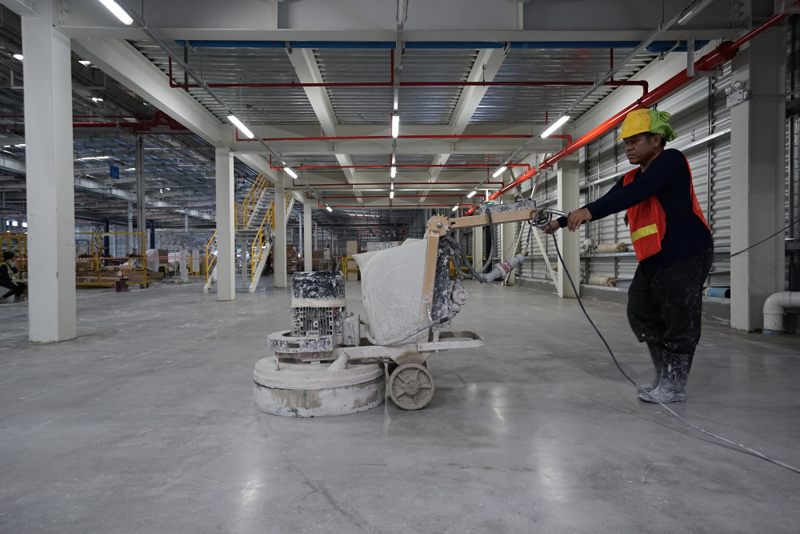 Non slip epoxy floor coatings are beneficial in areas susceptible to accidents such as warehouse flooring, chemical laboratories, produce and food manufacturing buildings, hospitals, or anywhere spills may occur. As the name indicates, the surface of the floor will be coated with a non-slip application, aiding in the reduction of slips and falls. RETRAX provides this type of non-slip coating. Both a sealer and a floor coating, RETRAX can prevent accidents due to spills from water, ice, grease, and oil to just name a few. Made from silica quartz aggregate, this coating provides durability and safety without strenuous preparations. To mention a few, RETRAX can bond to wood, tile, concrete, and metal. Other epoxy floor coatings include REPOX FC and REPOX-HB. • REPOX FC is typically found on showroom floors. It provides a high-gloss finish, giving the floor that impeccable shine. It provides durability without sacrificing or losing its glow. It also comes in various color options. • REPOX-HB is a coating typically found in industrial settings. Like RETRAX, this coating can bond to metal, wood, and concrete. This coating is suitable for areas that require chemical resistant flooring and floors that may need a washing ability. Call Capital Industries at 631-298-6300 to speak our experienced epoxy floor coating experts. We will help you select the right product for your application.